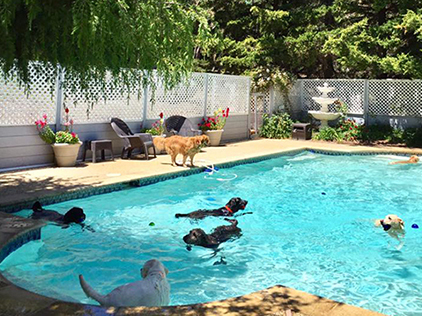 Camp Cardinale is a vacation resort for dogs who want lots of love and undivided attention. 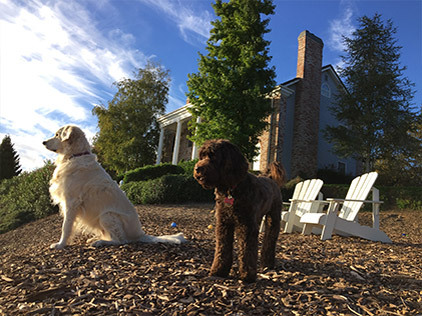 Our mountain home retreat overlooks Silicon Valley in the Los Gatos hills. We venture out for daily walks. In addition to various play areas, we have a swimming pool with adjacent lounge chairs and towel service. Each camper will romp and play all day both inside and out. 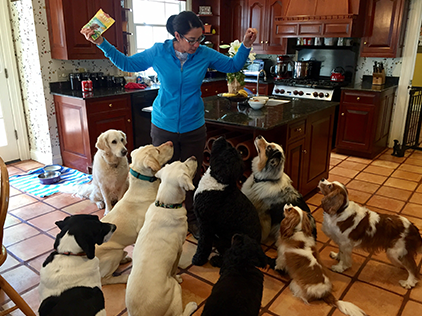 At night, your dog will be a welcome guest, a part of our family and can sleep kennel-free in our home. 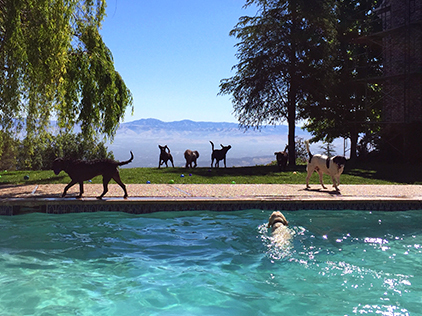 Camp Cardinale is focused on providing high-quality service and personalized care for a limited number of lucky dogs. 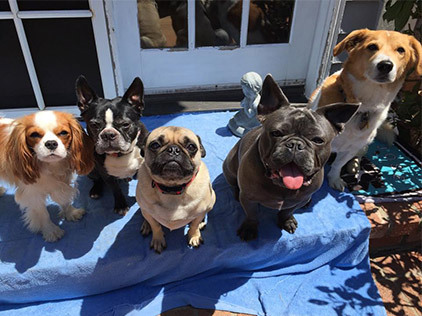 We will give the best loving care to your pets. 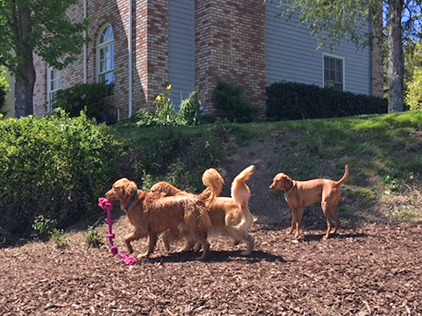 Whether it’s just for the weekend or an extended overnight vacation, we will send you photos throughout your dog’s stay enjoying their dog-gone delightful vacation! 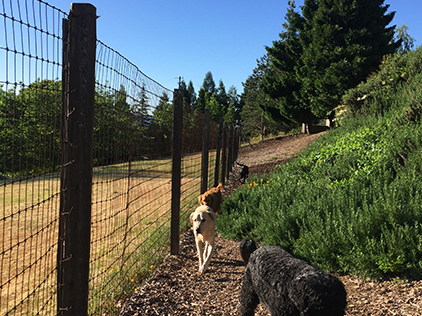 Your dog will be nurtured in a one-acre, safe and secure, beautiful, pesticide-free and natural environment that truly allows your dogs to be happy-go-lucky and free. 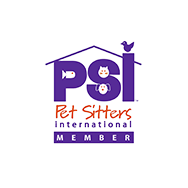 Camp Cardinale is a member of Pet Sitters International. 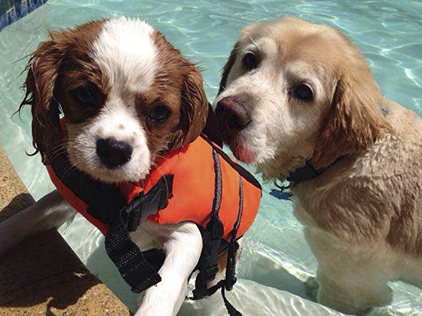 We have also completed courses in Pet CPR and First Aid with Pet Tech and the American Red Cross. We are fully insured through Maurer Foster and the Hartford Group. We hope you can find everything you need. 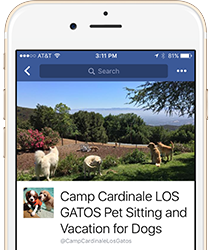 Camp Cardinale is focused on providing luxury resort-level service. We will do everything we can to meet your expectations. © Copyright Camp Cardinale. All rights reserved.